Greetings friends! It is I Ashtar with the Galactic Federation and we are hovering in your orbit in this ever present now, watching and being of service to your evolution as a collective. The individual part of it is up to you, and we see our ground team performing as professional athletes, who, even thought they thought they were beyond exhausted, found the inner knowing and motivation to push through the final entropy burst that would allow their successful victory. The light is well on its way. The light is here in many respects. 6/6/18 was a big energetic day for humanity, and many of you felt the upgrades, for they were many. Be gentle on yourselves and nurture your healing. Allow these energetic bursts to heal and accept it deep into your heart of hearts, that part of you that perhaps needs the greatest healing of all. For being embodied on Gaia, who was a lower dimensional world, is no small feat. It is for the bravest of us, and we thank you for your self sacrifice. Much is zooming ahead despite the current news casts, best to pay them no heed for they are fluff designed to conflict and confuse. Use these moments of cosmic energies and power to develop your own inner knowing, your own internal compass and you will never waiver from once you have found it. For you will know it is your own blessed higher self who is guiding you, who has been your voice of reason and conscience since you were but a child. It has been the nature of humanity to forget. And now it is your nature to remember. For a new way of doing things is evolving here on Nova Gaia, and it is the pathway of love, of bliss and of reunion with all aspects of yourself that need healing so that you can find your own wholeness. 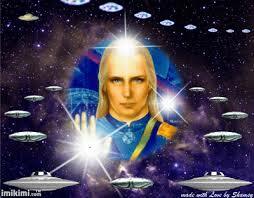 It is this oneness that we Galactic Federation members try to exemplify with everything that we do. For a united front in perfect unity of cohesive action is quite the formidable force to the dark-lings who are in the process of fleeing or trying to, and we are simply in the clean up stages of this process. We too look forward to the disclosures, the landings, but mostly we look forward to sharing with you and helping you remember what you have forgotten. For it is the time of the great awakening from slumber, humanity, and you have been asleep many of you for quite some time. It is time to wake up wrapped in Source light, in love, and blink away the cobwebs and nightmares and awaken into a new reality of sunlight that doesn’t burn, of moonbeams from a real moon, surrounded by your soul family and ‘mythical’ friends who I assure you are quite real. I am Ashtar. It has been my pleasure to connect with you this day. Salut!